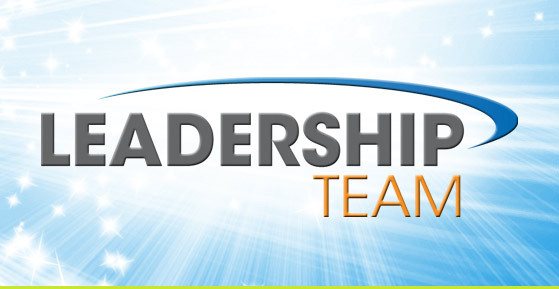 Leadership Team Development simplifies the process on how a team can effectively work together in accomplishing a goal. If you follow these steps, your leadership team will become more effective, cooperate better and increase your production or results. Many leaders think that building a team and developing teamwork is only for sports. They don't realize that they can build a team within their organization. Nor do they have any idea how to approach the task. Developing a team is wonderful, it's fulfilling and rewarding. 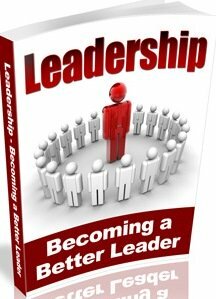 Developing a team of leader’s that's incredible. With the right leaders teamed together, there is nothing you cannot accomplish. I have found that all successful team share some common characteristics. If you, as the leader can cultivate these qualities in your group of leaders, they will become a cohesive team capable of leaping over any obstacle or performing any task. But first let's define Leadership Team? Leadership Team is a team of leaders and followers that work together as a cohesive force in other to accomplish a given goal or vision. All great teams begin with this quality. Teams that don't bond can't build, because they never become a cohesive unit.For a team to be successful, the teammates have to know they will look out for one another. When a team member cares about no one but himself, the whole team suffers. The best way to get your team to care for one another is to get them together outside of a work context in order to build relationship. This quality is the foundation of Leadership Team Development. One of the most important qualities of a team is having a common goal and purpose. This quality is developed by making sure each team member knows what is important to the team. Without this, team members cannot truly work together. It's important for the leader of the team to know what's important and communicate that information to the team members. Without communication among team members, the members of the team are likely to work against each other and the important tasks can be left undone. Letting each other know what's going on is the key to effective teamwork. Once the members of the team care for one another, have a common goal and communicate with one another, they are ready to start growing. Growth within a team is much like growth within a marriage.There must be shared experiences and periods of communication. A leader must ensure his team grows both personally and professionally. To grow as a team, the leader must the team learns together on a daily basis and share their knowledge with each other. When a team appreciates each other’s strength and weakness, the team becomes fit. The fitness of a team requires an attitude of partnership. They respect and trust each other. This trust allows them to rely on each other and make up for their weakness. Once team members genuinely believe in the goals of their team and begin to develop genuine trust in one another, they will be in a position to demonstrate true teamwork. There mutual trust will make it possible for them to place their own rights and privileges beneath the best interest of the team. With some encouragement from the team leader the team members will gladly assume appropriate roles. Team niches humanize teamwork. It ignites passion and helps the team players to become more effective, because the work on their area of strength. In this way the team member’s talents are maximized. This is one of the most underestimated Leadership Team Development principle, but it is one of the most important. The first thing a good bench gives is depth and great flexibility in any situation. A team bench provides a place for a weary player to rest. When one of the team members cannot make it any further due to fatigue there is a member ready to carry the load. During emergency and uncalculated load, the bench team can always come in to carry extra load of the team. The ability to know where their team stands at every moment during a game separates the great players from the adequate players. The ability to know what is happening within the organization, how the organization stands in reference to its goal, how the different players are doing. A leader must know everybody is not on the same level, a leader must ensure he blends everyone and there strength in the team. Success comes down to sacrifice, willingness to pay the price. The same is true of a winning team. Each member of the team must be willing to sacrifice time and energy to practice and prepare. Each person must be willing to be accountable, be willing to give up part of himself for the team's success. When you build a team within your organization, you will be capable of a level of success you never thought possible. 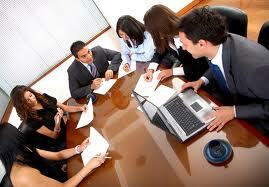 Team work for a worthwhile vision makes it possible for common people to attain uncommon results. Leadership Team Development is the key to developing an effective team in leadership.